 Some programs are set up to print only on the system’s default printer. Other programs are set up to print on the system default printer but allow you to target, or change to, a different printer. If several printers are available, you can designate any one of them as your default printer. 1. 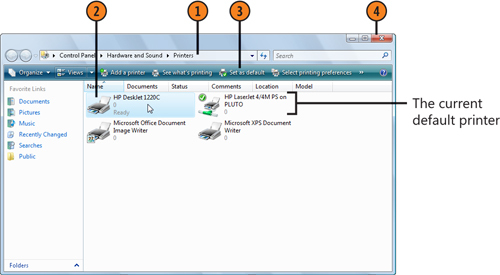 Click the Start button, type printer in the Search box, and choose the Printers folder. 2. Click the printer you want to use as the default printer to select it. 4. Close the Printers folder when you’ve finished. If you normally print documents using a printer that’s installed on your computer, make sure the device that’s designated as your default printer is not the Microsoft XPS Document Writer, or any other specialized printer. If one of these other devices is set as your default printer, documents that you want to print might seem to have disappeared. If there’s a check mark next to the printer icon, the printer you’ve chosen is already designated as the default printer. When you send your documents to be printed, each print job is queued, or lined up, in the order in which it’s received by the print server. You can see the progress of your print job in the queue and can temporarily suspend the printing of your document or remove it from the queue if you decide that you don’t want to print it. Note that after you’ve paused or canceled a print job, the printer might continue to print a page or two because those pages have already been stored in the printer. 2. Double-click the printer you’re using to open the print queue for that printer. 3. Note the names and details of the documents in the queue. 1. Right-click the name of your document. 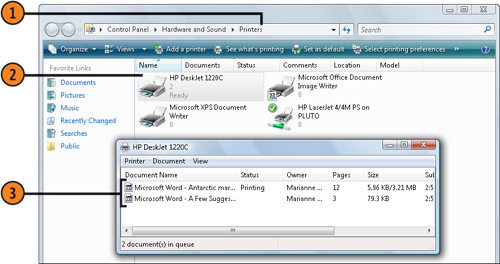 To stop a printer from printing documents, regardless of whom they belong to, right-click the printer, point to Run As Administrator on the shortcut menu, choose Pause Printing from the submenu, and then confirm the action using an Administrator password.